Part of the commercial-grade Unity Office Collection, the Unity Mobile Pedestal is a functional rolling cabinet perfect for adding storage to any workspace. 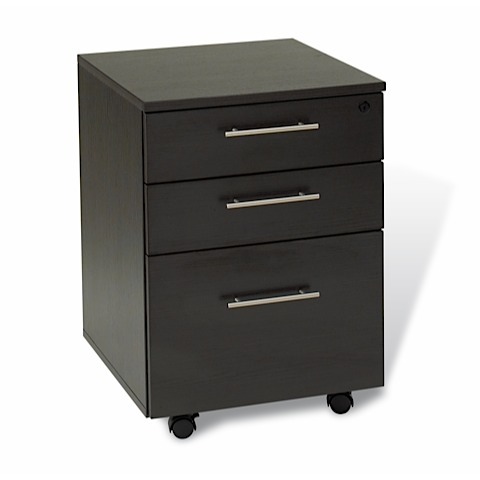 Boasting a central locking system, European hardware, two pencil drawers, as well as a bottom filing drawer for legal or letter-sized files, the Unity Pedestal is perfectly suited to stand alone or roll under all of the Unity Desks and Returns. Available in three beautiful laminate finishes, and backed by a 5 Year Commercial Warranty.